Applied behavior analysis is an increasingly popular therapeutic approach for intervening when socially unacceptable behaviors start negatively affecting one’s life. ABA therapy involves modifying and reinforcing proper behaviors, from good hygiene to social interaction, to improve daily functioning. ABA was established in the 1970s at the University of California-Los Angeles by researchers Ivan Lovaas and Robert Koegel. Behavior analysts now use ABA methods for several disabilities, including autism, oppositional defiant disorder, anxiety, bulimia, cerebral palsy, and manic depression, with great success. A study from the Center for Evidence-Based Policy found that 92.9 percent of special needs children treated with ABA displayed positive progress. Delivering applied behavior analysis services in 1:1 settings requires becoming certified after ABA training. What is an ABA Degree? Applied behavior analysis degrees are post-secondary, vocational training programs often housed in universities’ education departments to prepare therapeutic practitioners for correcting unfit behaviors. Getting an ABA degree online, on-campus, or in a hybrid format is extremely valuable for entering Forbes magazine’s #6 most meaningful job. ABA students learn the latest techniques like discrete trial training or naturalistic teaching to model and reinforce appropriate social interactions. Applied behavior analysis programs are suitable for any patient, open-minded, and compassionate professionals who wish to specialize in treating neurodevelopmental disabilities in today’s growing special education field. One of the most important factors when selecting applied behavior analysis programs is accreditation, especially if ABA certification is one’s goal. Regional accreditation is an essential, third-party review process from CHEA-recognized bodies to ensure quality standards for credit transfers and financial aid. The best ABA degrees are often specifically accredited by the Association for Behavior Analysis International. Headquartered in Portage, Michigan, the ABAI ascertains whether training has the curriculum, commitment, equipment, faculty, and connections for launching applied behavior analysis careers. Students should also check with the Verified Course Sequence directory to determine whether curricular parameters for BACB credentialing are met. Affordability is another major concern since The College Board reported that bachelor’s ABA majors pay average tuition of $9,140 at in-state public, $23,890 at out-of-state public, and $32,410 at private universities for each of the four years. Master’s and doctoral applied behavior analysis programs can also be steep with the mean graduate tuition costing $17,868 annually. Seeking ABA degrees at accredited, cost-effective colleges is smart, but remember that published tuition can change dramatically with FAFSA financial aid funding. Also, apply online for professional ABA program scholarships, such as the Autism Recovery Foundation Scholarship, Nancy Leahy-Shea Memorial Scholarship, Sidney W. and Janet R. Bijou Grant, or B.F. Skinner Foundation Research Award. Looking over rankings is an excellent way to glean pivotal, unbiased data about how respected ABA training programs are. Trusted college ranking systems include the U.S. News & World Report, Forbes, Washington Monthly, The Princeton Review, and The Economist. Key factors frequently weighed in ABA program rankings include tuition, student-faculty ratio, BCBA exam pass rates, job placements, cohort default averages, student engagement, resource availability, and degree flexibility. Some will focus exclusively on ABA degree online offerings accessed on platforms like Moodle and Canvas. According to Discover, picking an online applied behavior analysis degree can help schedule study around work, broaden college choices, eliminate campus costs, accelerate learning, and practice ABA tech skills. Potential employers likely won’t view applied behavior analysis online degrees any differently than traditional brick-and-mortar training in today’s booming ABA market. According to the Bureau of Labor Statistics, the psychology field that includes behavior analysts is bound for 14 percent growth by 2026 for 22,600 new jobs nationwide. More than 85 percent of these openings will be in the healthcare, education, and social services sectors. Burning Glass Technologies reported that the hiring of BCBAs doubled from 1,414 to 3,083 from 2012 to 2014. Eighteen states, from California to New Jersey, experienced record-high ABA growth this year. Job listings show many agencies like Autism Allies, Confidence Connection, Butterfly Effects, Behavior Frontiers, and Florida Autism Center are hiring. According to PayScale, the average applied behavior analysis salary ranges from $35,139 to $90,800 based on several factors. For example, Russell Sage College reports that the mean ABA salary jumps from $47,281 for baccalaureate holders to $55,402 for master’s grads. PhD applied behavior analysis programs generate the highest pay at $76,381 on average. Experience is another big influencer with entry-level jobs commanding salaries of $28,000 to $43,000. Those who’ve worked in ABA for 10+ years are the best paid with annual profits of $80,287 or higher. PayScale also filters salaries by location with the top-paying cities being New York, Boston, Los Angeles, and San Antonio. Applied Behavior Analyst- Becoming an ABA therapist is perhaps the most common route after completing applied behavior analysis degree programs. Applied behavior analysts are practitioners who formulate in-depth intervention plans for remedying problematic behaviors across the age spectrum. Important responsibilities include isolating actions for change, setting expected outcomes, measuring improvements, tweaking training methods, counseling parents or guardians, and coordinating ongoing evaluation. Board Certified Behavior Analysts snag median income of $57,358 based on PayScale reports. Registered Behavior Technician- The BACB’s newest credential lets high school grads with minimal postsecondary training begin to assist with behavioral modification as Registered Behavior Technicians. Becoming an RBT involves regular supervision while completing entry-level tasks like recording training data, summarizing client behaviors, following skill acquisition protocols, communicating progress notes to caregivers, handling records with confidentiality, and organizing the therapy environment. Technicians must report to BCBAs at any service institution, including clinics, nonprofit agencies, and schools. Neuvoo published an average annual salary of $39,579 for Registered Behavior Technicians. Special Education Teacher- Studying applied behavior analysis online or on-campus could help some of America’s 439,300 special education teachers better address improper classroom behaviors. Elementary, middle, and high schools need these educators to adapt general lessons to suit unique needs of children ages 4-21 with wide-ranging disabilities. Their schedule includes planning learning activities, implementing IEPs, grading students’ progress, collaborating for pull-out services, and supervising teacher aides. Salary.com shows that special education teachers are modestly paid a median wage of $52,985. Educational Diagnostician- The Council for Exceptional Children (CEC) suggests educational diagnostician as another of the ABA jobs where knowledge of the behavioral, social, and academic effects of disabilities is crucial. Licensed master’s-level BCBAs can fulfill this consulting role to assist teachers with adapting curricula appropriately. Daily tasks include performing psychometric tests, identifying special needs, preparing developmental histories, suggesting modifications, assisting with IEP creation, and making therapy referrals. PayScale figured that educational diagnosticians bring home a median salary of $57,857. Autism Spectrum Disorder Specialist- Master’s-trained BCBAs can become autism spectrum disorder specialists to focus solely on behavioral modification of children and adults diagnosed with ASD, including Asperger’s syndrome. These specialists manage a caseload of autistic clients at schools, healthcare facilities, community nonprofits, and private practices. Duties include analyzing behaviors, determining apt interventions, establishing progress monitoring goals, providing social skills training, and mentoring teachers on behavioral supports. According to PayScale, autism spectrum disorder specialists make $58,234 on average. Pediatric Occupational Therapist- Knowledge gained during ABA training pays off for licensed master’s graduates seeking to function as pediatric occupational therapists. OTs help children maximize their independence by nurturing crucial social, vocational, and emotional skills. Whether working in home health, hospitals, or schools, their typical responsibilities include teaching everyday tasks, reinforcing positive behaviors, demonstrating assistive technology, suggesting academic modifications, and monitoring for goal progress. The Bureau of Labor Statistics states that pediatric occupational therapists glean median pay of $81,910. ABA training can also translate well into nontraditional applied behavior analysis jobs, such as school social worker, childcare administrator, learning consultant, curriculum developer, professor, clinical research director, health educator, and psychiatric nurse. Finding the perfect ABA career match is best accomplished by adding field internships to applied behavior analysis programs. For instance, the Behavior Change Institute started the BCBA Intern Program in 2014 for real-world industry experience. The Lily Center in Houston has ABA Intern-B and Intern-M openings for supporting assessment and intervention services too. Autism Speaks: One of the United States’ leading ASD organizations created this detailed, research-backed resource about the history, intervention methods, qualifications, and benefits of applied behavior analysis programs. Association for Behavior Analysis International: Founded in 1974, the ABAI helps search for accredited ABA degrees while giving members online journals, career boards, virtual workshops, and conference brochures. FABA World: The Florida Association of Behavior Analysis launched this website to publish employment listings, conference details, the Code of Ethics, scholarships, and real-world profiles of applied behavior analysis jobs. Behavior Science in the 21st Century: Maintained by Dr. Todd Ward, bSci21 is among the premier websites publishing interviews with certified ABA experts and describing unique ABA jobs like animal behavior consultant. 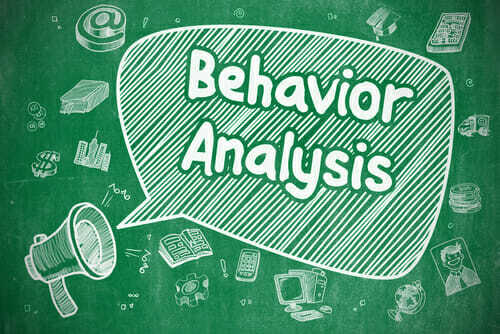 Mock Behavior Analysis Exam: The Florida Institute of Technology formed this $59 online resource for aspiring BCBAs to practice answering questions in 13 content areas for applied behavior analysis certification. Applied Behavior Strategies: Before deciding on an applied behavior analysis degree, check out the ABS website coordinated by Dr. Melissa Olive to learn the basics of ABA and reinforcement strategies 101 with real-life examples. Ventura County SELPA: This website aids applied behavior analysis training by compiling free tools for practitioners, including behavior contracts, five-point stress scales, self-monitoring sheets, and social narratives. Association of Professional Behavior Analysts: Located in San Diego, the APBA lets members access further reading resources, such as news articles, practice guidelines, job descriptions, and research bibliographies, online.